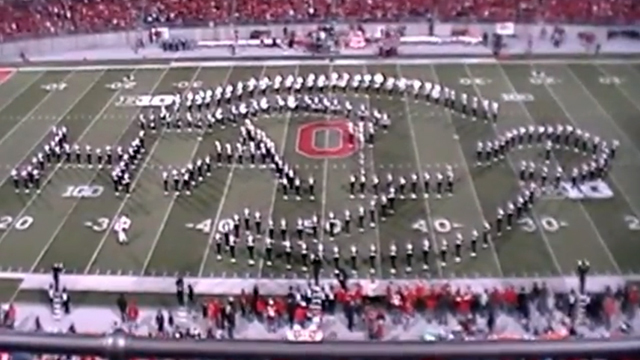 To make for an amazing halftime show during the Ohio State Buckeyes vs. Nebraska Huskers football game this past Saturday (10/6/2012), The Ohio State University Marching Band put on an incredible performance that paid tribute to video games through their music and well-coordinated formations. Classic and modern video games, such as Pac-Man, Halo, Super Mario Brothers, The Legend of Zelda and Pokemon were among the many titles shown. You can watch as the band transforms a Zelda Triforce into Epona, who is Link’s horse, at the 6:00 mark of the video.